Snibston (Leicestershire, South Midlands) closed 16th December 1983. It was sunk by George Stephenson (Railway engineer for the Leicester and Swannington Railway) and his son Robert and Joseph Sandars and Charles Binns in 1831-1832 to the Middle Lount at 213 yards 1 foot 6 inches ( 195.2m) deep. A branch line to No2 pit was constructed between 1833 and 1836. No2 pit ceased winding coal on 16/5/1877. The colliery was located to the north western edge of Coalville, adjacent to Ashby Road. The ventilating furnace was replaced by a fan later. In 1842 the miners were earning a maximum of 18 shillings (90p) for a 12 hour shift, plus 12 cwts of coal every month. However by 1866 the hours of work had increased to about 16 hours a day max for 5 days with half a shift on pay day, and the coal getting rate was stated to be 120lb to the cwt instead of the correct figure of 112 lb and also the days pay had reduced. A set of screens was built on the pit top to sort out grades of coal. These were extended in 1913-1915. Well shaft and No3 Stephenson shaft 43/4114/926480, with Lanarkshire steel headgear 510 feet (155.5m) above sea level, sunk in 1913-1915 as a 4th shaft, 237 yards (216.75m) deep in 1955, 251 yards (229.5m) deep in 1915. Housing had been provided for some at Hens Row and George’s Row east of the site. Roaster 3' 0" at 780 feet (237.7m) deep from No3 shaft, abandoned 9/3/1885. Hard inferior coal 3" (0.08m), coal 8" (0.20m), best coal 1' 2" (0.36m), coal 8" (0.20m) very soft, full of sooty veins. Rise of seam 1in14. Nether Lount -5/3/1983, abandoned 27/11/1983. Section: Fireclay, coal 1' 2" (0.36m), shale, coal 5' 3" (1.60m), seat earth. The pit was referred to as Snibby by the locals. The tandem headgear constructed of wood was a typical example of the style but replaced by steel in the 1940s. The mine was taken over by GR Stephenson and Co in 1861 and then by the South Leicestershire Colliery Co.
George Stephenson campaigned for the use of the barometer to measure the changes in air pressure which when low allowed methane gas in the goaf to migrate into the general underground airstream ventilating the mine. It was noted that the gas was kept back when the barometer was reading a high pressure. The Deputy checked the barometer reading before each shift of men were wound into the mine. Like most of the mines in the country during the 1930s depression miners at Snibston and surrounding pits were only working a maximum of 3 days a week and hopefully some were able to claim dole money also. Pithead baths were built in the 1940s although an earlier ballot by the men hadvoted against them. Again as at many pits an old wives' tale suggested that too much washing would weaken a man's back. At many pits some men never ever washed their backs. Miners from Durham were enticed to the sinking and housing was built for them on Long Lane. Among the first to use cast-iron tubbing in the shafts to hold the water back. Ventilation was achieved by a furnace in the pit bottom. Miners worked with candles for illumination and the method of extraction was pillar and stall. Robert Stephenson the owner died in 1859 and according to records the conditions of work deteriorated and pay scales were reduced by the Snibston Co.
Water became a big problem when nearby Whitwick colliery stopped pumping and there was a build up of water in the old Swannington mine which broke through into Snibston and flooded the lowest seam workings. Around 400 men and boys were put out of work whilst pumping was carried out to drain the workings but the toll was that the proprietors were financially ruined and in 1882 No2 and No3 colliery was standing. 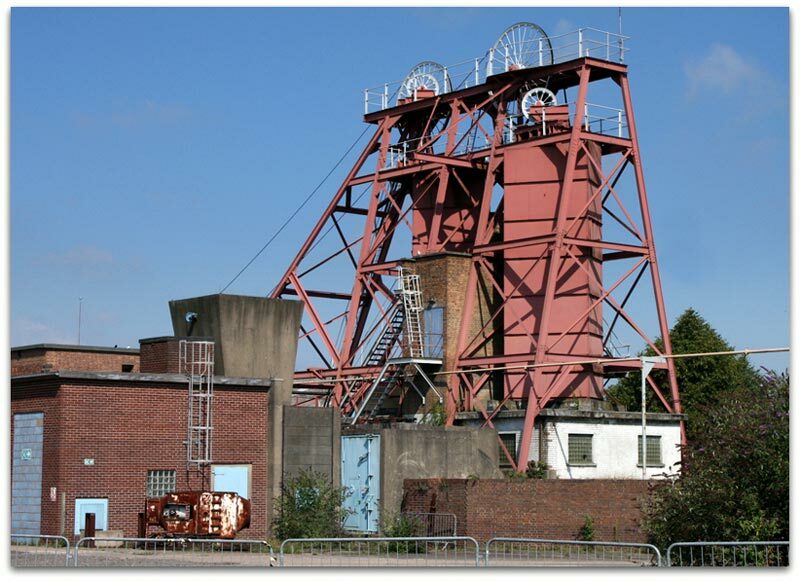 The colliery was bought out by the South Leicestershire Colliery Co in 1885. No1 pit closed and No3 pit sunk 1850 closed in 1895. Rider and Smokey shafts were sunk to a depth of 89 fathoms (162.8m) and deepened to 144½ fathoms (264.2m). A new steam winder with 2 cylinder horizontal engine with a 14 feet (4.27m) drum was installed in a new engine house in 1864. Tandem headgear built and double deck cages with 2 tubs per deck to draw 480 tons per shift of 8½ hours. Old Coleorton pit was adjacent also working c 1879 – 1885 and again to 1927. The shaft depth was thought to be 109 yds (100m) but uncertain. A pillar was left for Coleorton Hall. The wooden headstocks were changed to steel ones in 1940s and 2 Nissen huts were erected to store timber. A 70hp Anderton thin-seam shearer with 32” wheel x 20” web (0.81 x 0.50m) web was installed in the Yard seam in 1961. The AFC was a standard 7” (0.18m) high with a 60hp motor at each end. Supports along the cutting run were Dobson hydraulic props and K56 Groetschel link bars in a 2 to 1 saw-toothed pattern. Desford 50 ton chocks were set every 5 ft (1.3m) at the edge of the full caving of the goaf with every 4th ram to push over the armoured face conveyor. Stable holes were bored and fired and the coal loaded onto the conveyor by hand. The rippings similarly were blown and the dirt hand-packed. However due to roof conditions and some floor lift and getting the machine fast the shearer-system was abandoned and production reverted to the handfilling method. A remotely-hauled AB Thin seam 12” (0.30m) high shearer with 60hp water-cooled motor hauled on an 18 mm chain and 7” high AFC with ramp plates driven by an hydraulic motor was installed in the seam in 1963 in a further attempt to mechanize the working taking the full seam extraction and using Westphalia UMM double telescopic powered supports that could be moved over under the newly exposed roof as soon as the machine had passed by. Winster signalling and lock outs were spaced down the face line. A new Powder magazine was built (following the M and Q Act 1954). There was a surface haulage for the incline, and a tippler. In Sep 1953 and Sep 1954 on the Working plan of the mine panels from Snibston overlapped old workings from Old Coleorton but were not found. 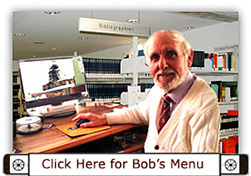 The position of the workings was very unsure and obviously wrong, either from one pit or both. In 1973 boreholes were maintained in advance in front of a panel working the Middle Lount seam from Snibston to search for old workings from Alton’s pit but no workings or water was found. It would appear that there were some gross errors in plotting the position of the workings at the old pits. Boreholes were drilled into 2 old shafts to 176 feet (53.6m). There were 6 other shafts in the vicinity but no information known. A Rexco plant was opened adjacent to the colliery. In 1957 new Stores were built. In 1959 the steam engines at Rider and Smokey shafts were removed and replaced by modern electric winders uprated in 1961 and 1969. Later an electric winder was installed at Stephenson shaft.and was then used for manriding and materials and not coal winding. The steam winder installed at No1 pit in 1864 was replaced by a new electric British Thompson Houston (BTH) winder. A new shaft at 15’ 0” (4.57m) dia named Stephenson in honour of the pit’s founder was sunk in 1913 to 303 yards (277m). As part of the modernisation scheme asurface drift (shown) was driven 1961-1963 at 1in4.17 dip some 925 yards (846m) long at 14’ x 9’ 6” (4.27 x 2.9m) from Snibston pit yard and a drivage was started simultaneously from underground upwards to meet halfway however water in quantity slowed down the headings with up to 4,500 gals/min max being encountered.The headings eventually thirled successfully in 1963. Credit due to the extremely accurate work by the Surveyor and his team under such conditions. Also connection roads were made to South Leicester to merge the 4 collieries including New Lount. 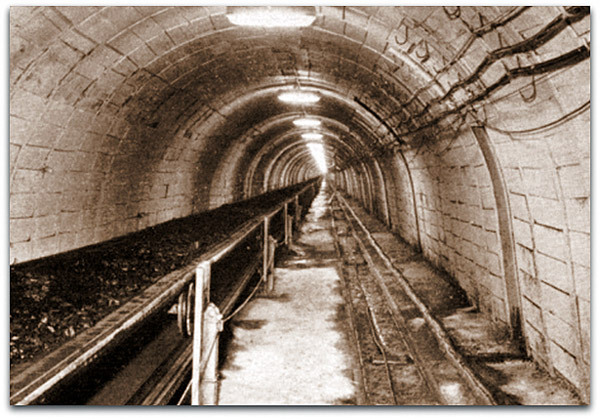 All the coal from both mines was transported up this drift from 1964, and in 1969 a connection was made underground to Whitwick No6 colliery to merge this Colliery also by driving a 12’ x 10’ (3.65 x 3.05m) roadway some 1,200 yards (1,097m) from Whitwick No6 and install a 400 ton Walker Horrocks bunker with 20 ton capacity cars. Simultaneously a roadway 1,000 yards (915m) long was driven from South Leicester Main West conveyor road to thirl to an existing roadway at Snibston. A 200 tons capacity Butterley bunker was installed in this roadway. The coal was transported up the surface drift from South Leicester in August 1964. Some men were transferred to Snibston but the majority went to New Lount where double shift coaling was started. A 42” (1.07m) wide cable belt running at 400 ft/min (122m/min) to the new Coal preparation plant completed in 1967 at 625 tons / hour. A new Office block was built (also to accommodate Group staff), Lamp room, Medical centre and renovated Pithead baths were commissioned in 1966/67 and also a Railway weighbridge. The Steam winders at the original No2 and No3 shafts were replaced by electric in 1959 and the Stephenson shaft engine in 1964. A 650hp single drum ex-sinking winder was transferred from Monkton Hall. A new economic Boiler with high pressure hot water for Baths, Offices, Shops etc was installed in 1966. Waste dirt from the coal prep plant was taken back down the pit and taken inbye and power stowed into the goaf in the old Low Main beneath the town of Coalville. The output from the pit prior to the reorganisation was 900 tons a day. Prior to the reorganisation Whitwick No6 had its own Coal Prep Plant distinct from Whitwick No3 pit. The winding house known as the donkey engine house was converted to have an emergency generator.